On Wednesday, high school athletes across the country signed their official letters of intent to the colleges and universities they would attend next year. 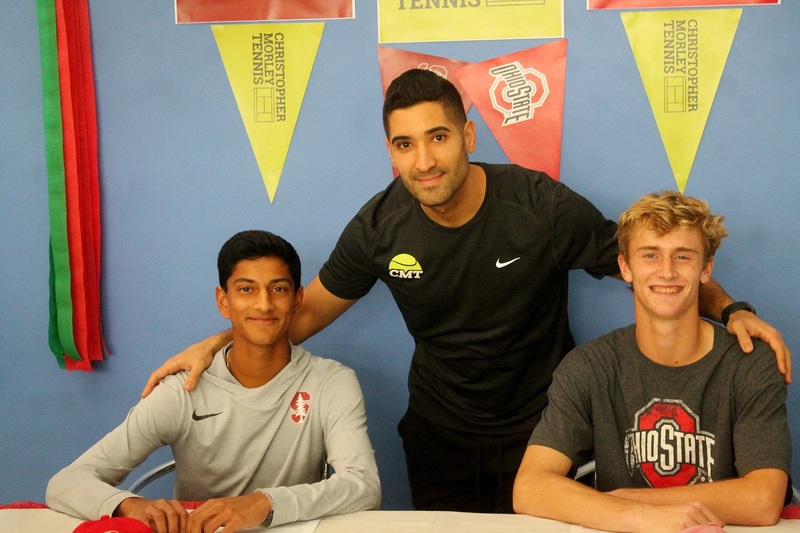 At Christopher Morley Tennis in Roslyn, two of the program’s top players, Cannon Kingsley and Neel Rajesh, made their college commitments in front of family, friends and coaches. 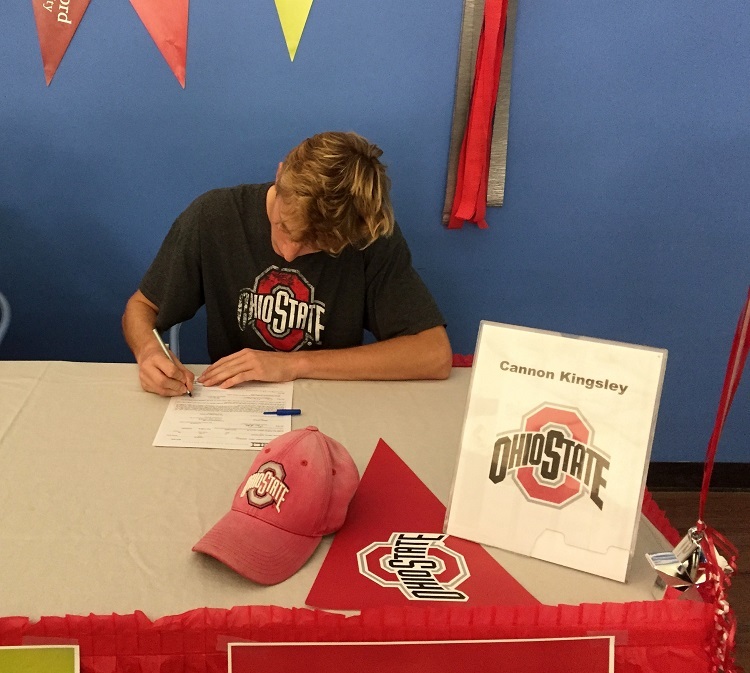 Kingsley will be headed to Columbus, Ohio in the fall to join the Ohio State Buckeyes. 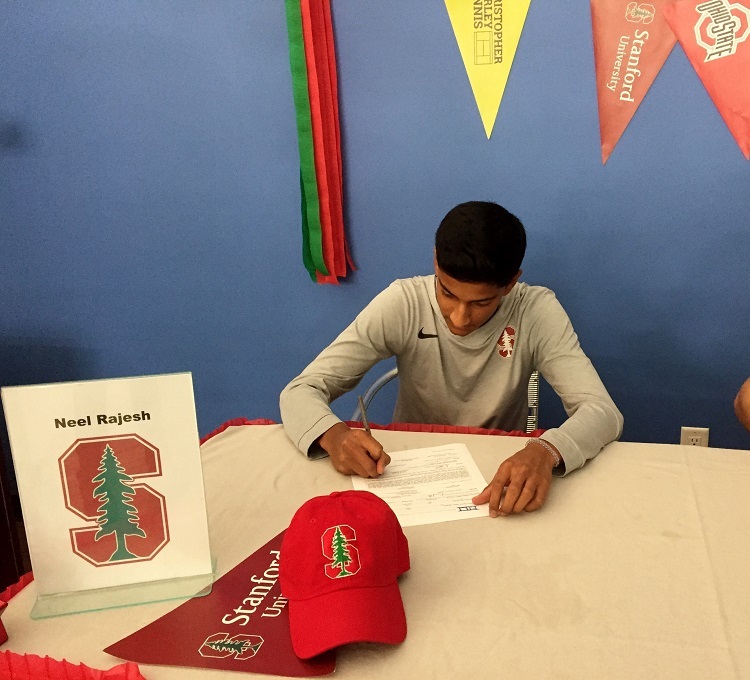 Rajesh will be heading to the west coast and join the Stanford Cardinal.